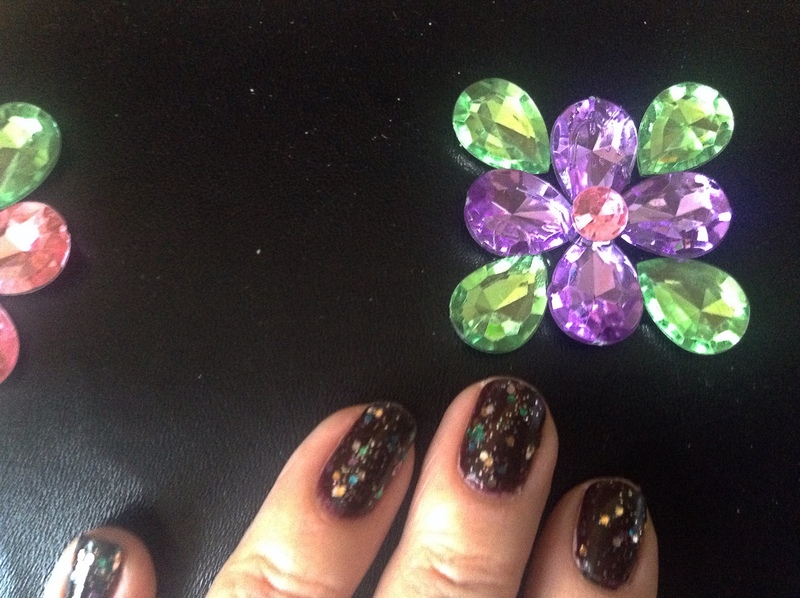 Bling and embellishment are everywhere this time of year, have a peek at my moodboard! 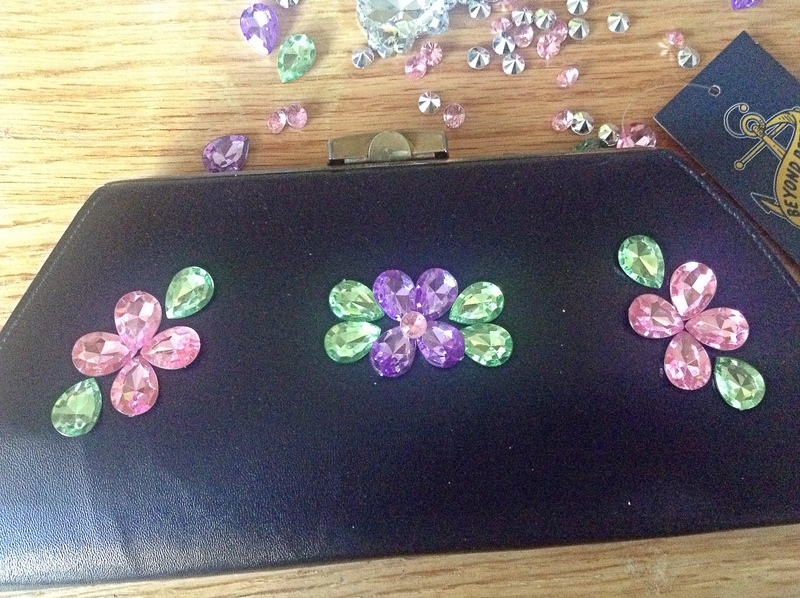 The jewelled clutch is a season staple. However, they can be expensive, (check out the blue D and G one above, just a mere 5000 pounds) , they might not have the right colour embellishment for the look you want to rock on New Years eve and if your me there is never enough sparkle! I had to have an MRI of my head a while ago and my friend Nikki said she didn’t know why they were bothering as all they would find is glitter and handbags! So here is a so simple it hurts tutorial, just one word of warning make sure you buy flat bottomed gems and not chatons which are faceted, guess which ones I bought? Doh! 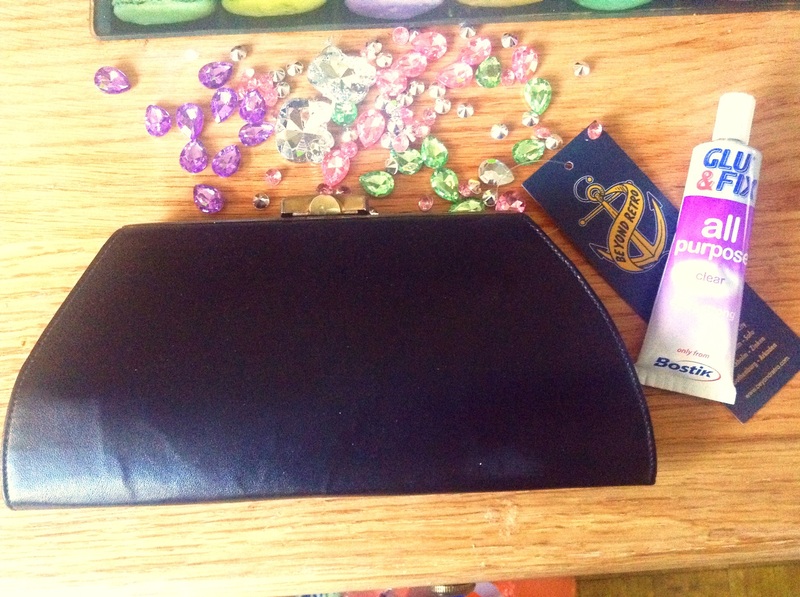 First gather your supplies, a plain clutch mine is from http://www.beyondretro.com, your flatback jewels and strong glue that bonds all materials, mine is Glu and Fix all purpose, Evostick make a good one too. Plan out your design, before you start sticking! And then when you are sure, start sticking your rocks on baby! 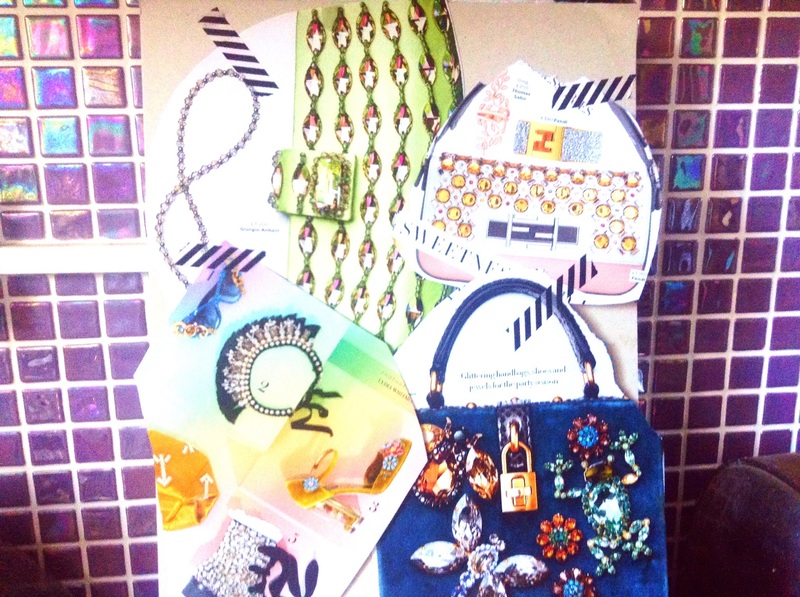 Share your bejewelled beauties with me on Instagram using the hashtag #rockson. And check back with me on Monday for a peek into the festive decorations at While Darcey Sleeps HQ! and maybe a visit from Darcey herself! 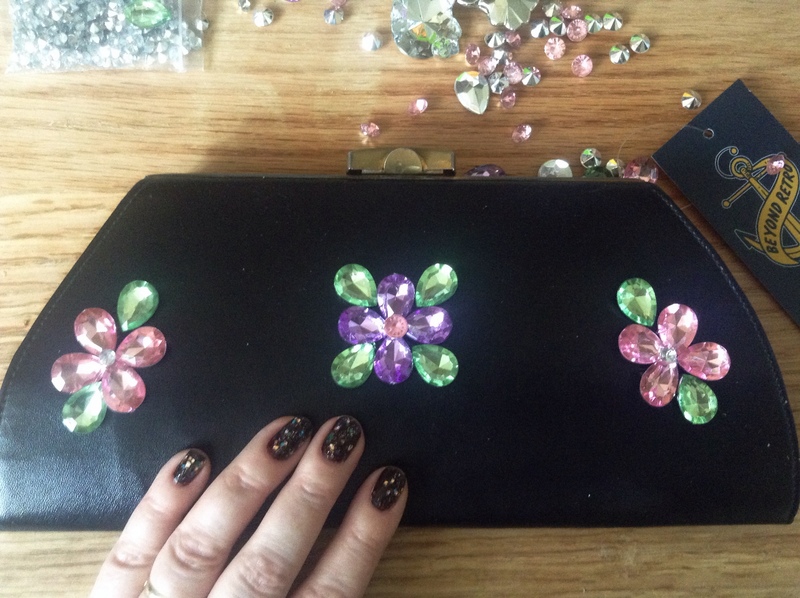 This entry was posted in Uncategorized and tagged clutch, craft, diy, jewelled, nail polish by karenlorenz. Bookmark the permalink.